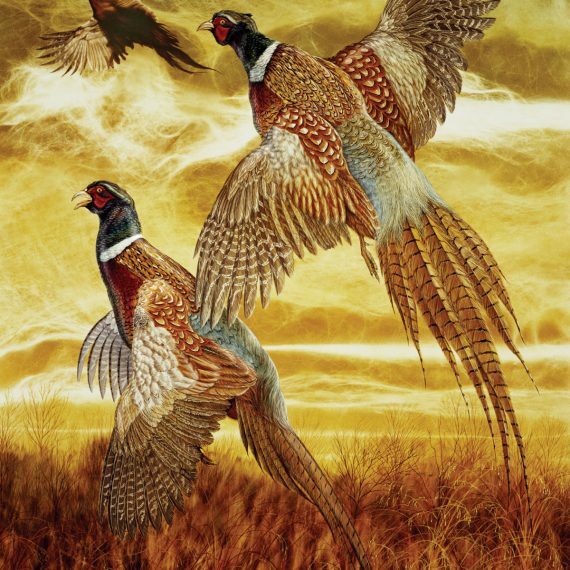 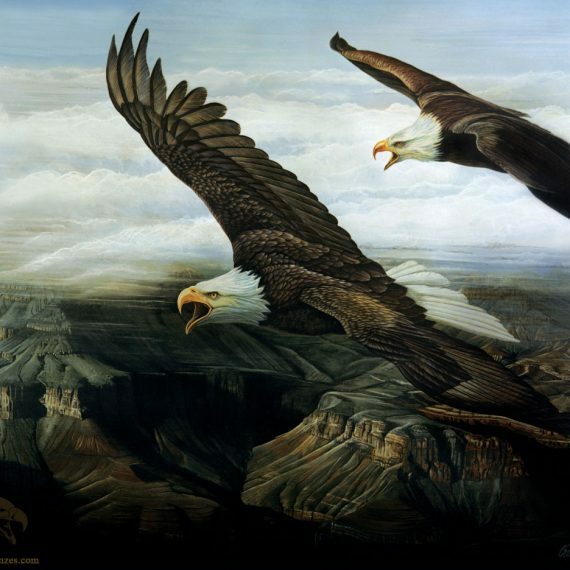 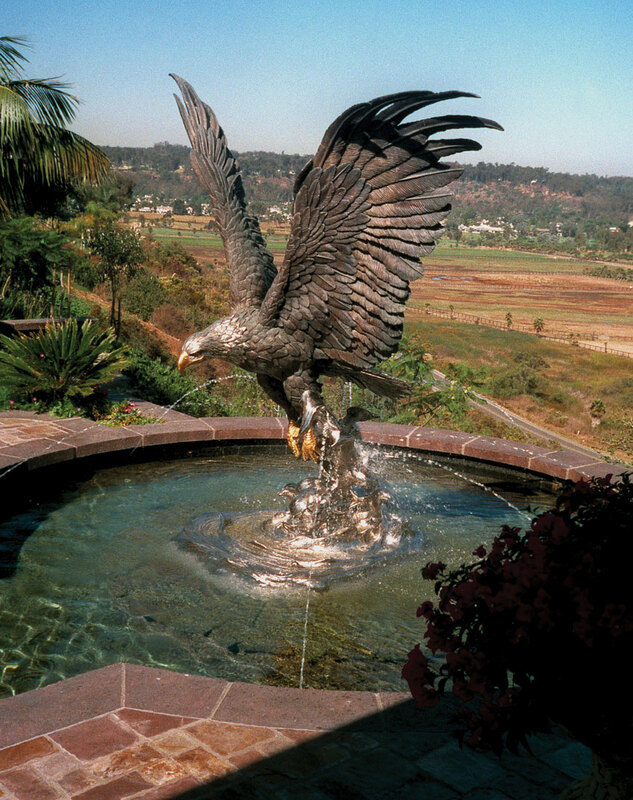 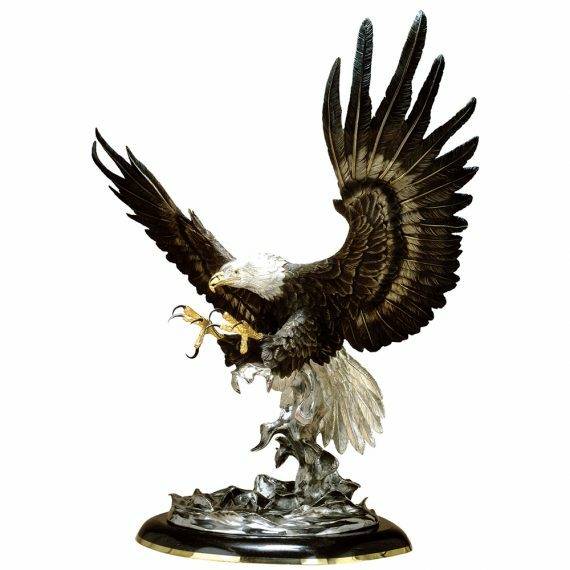 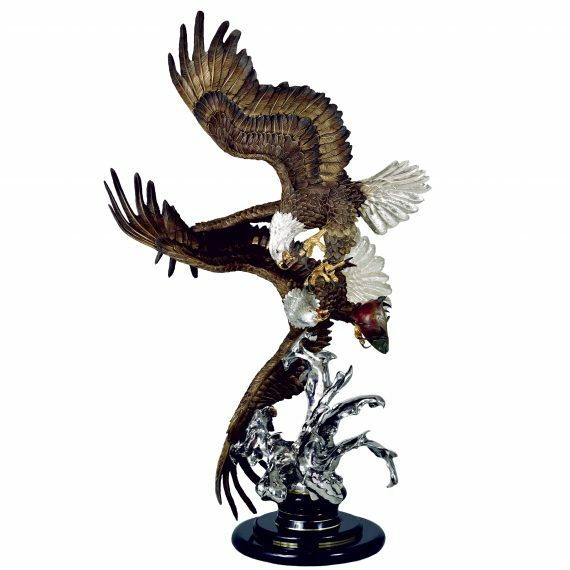 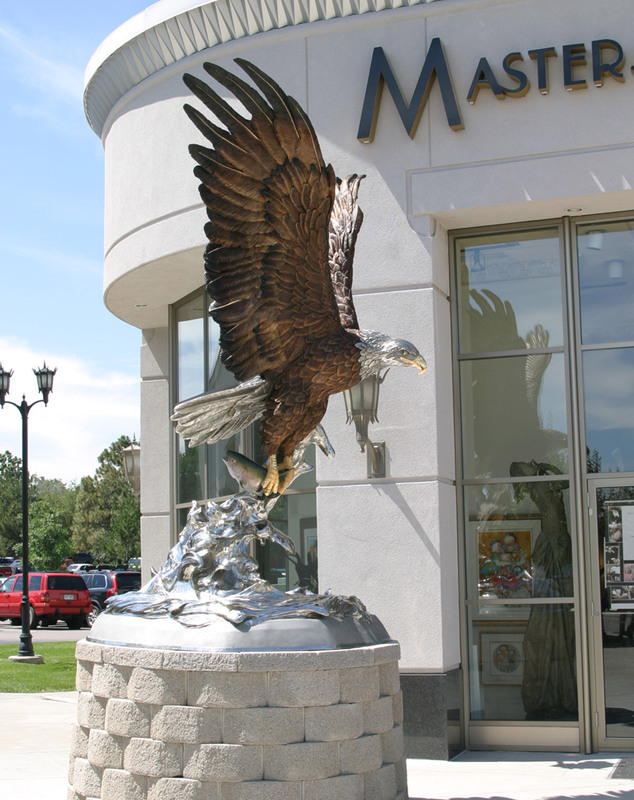 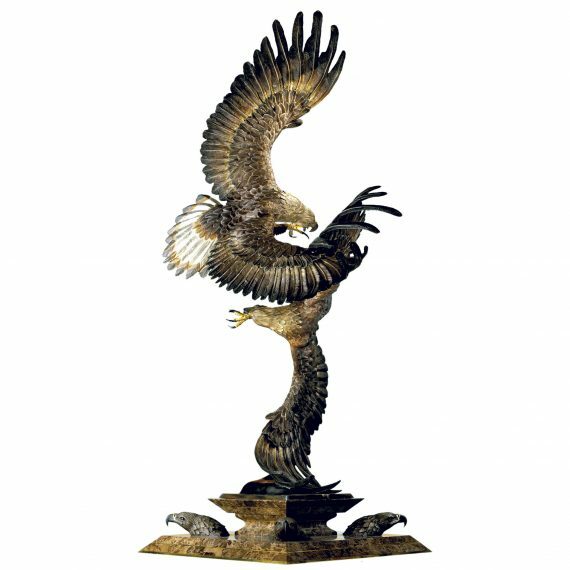 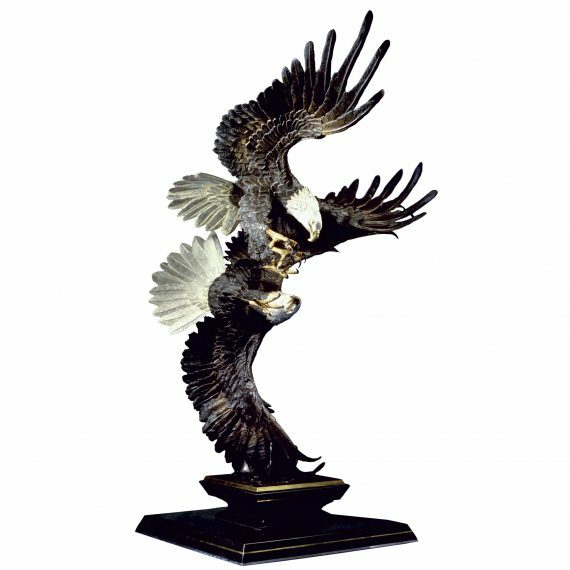 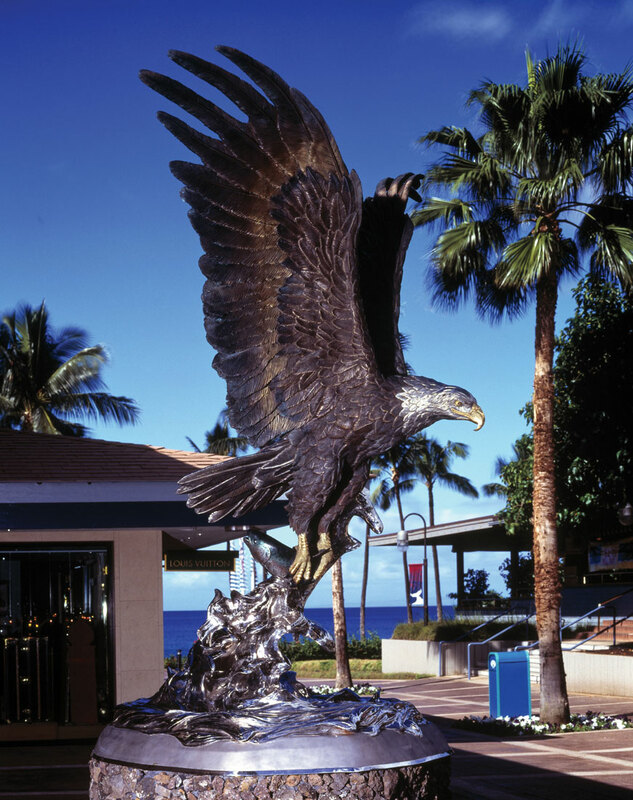 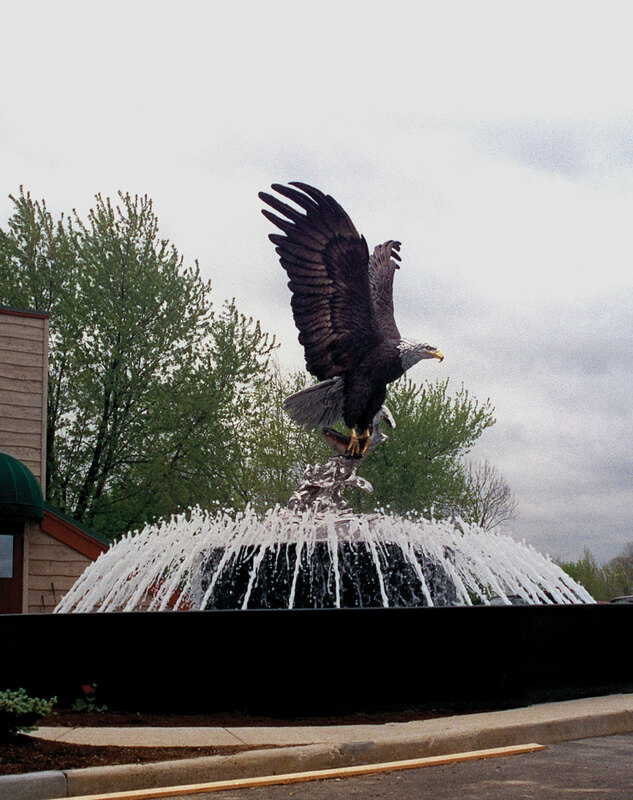 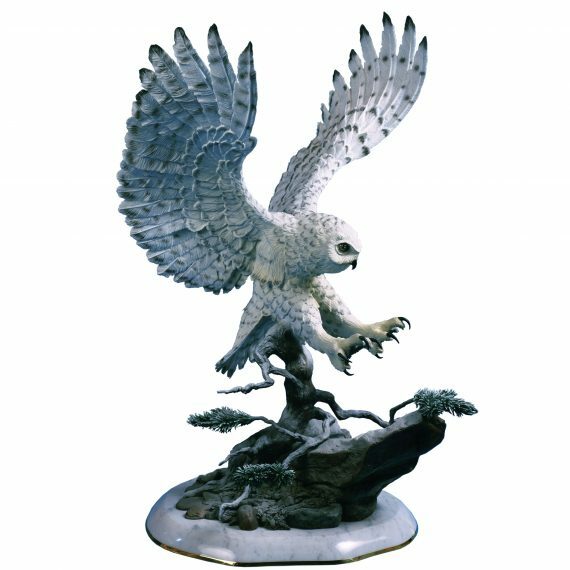 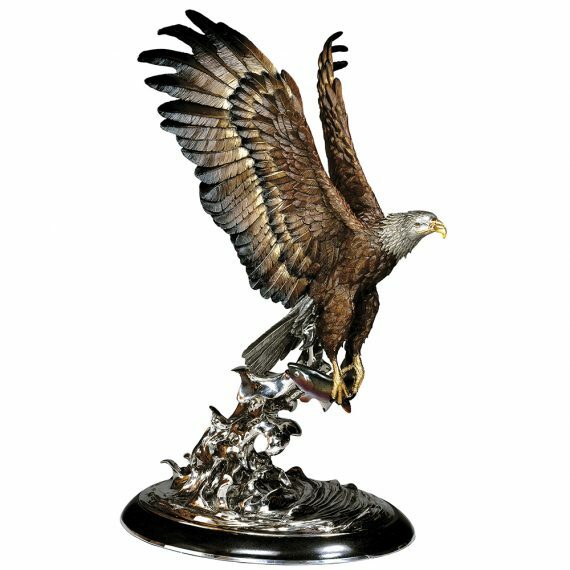 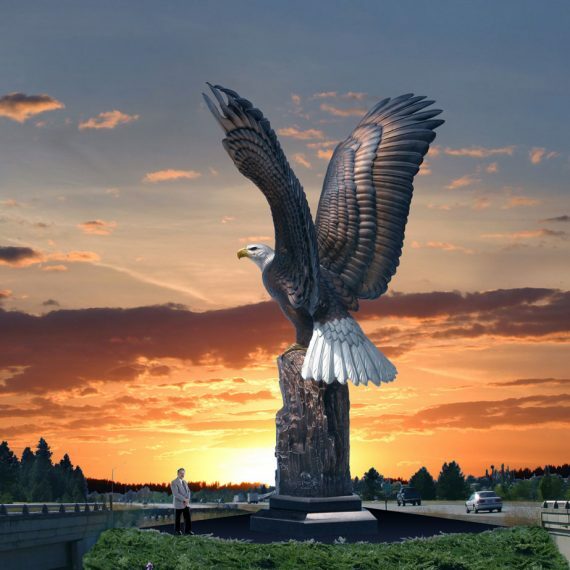 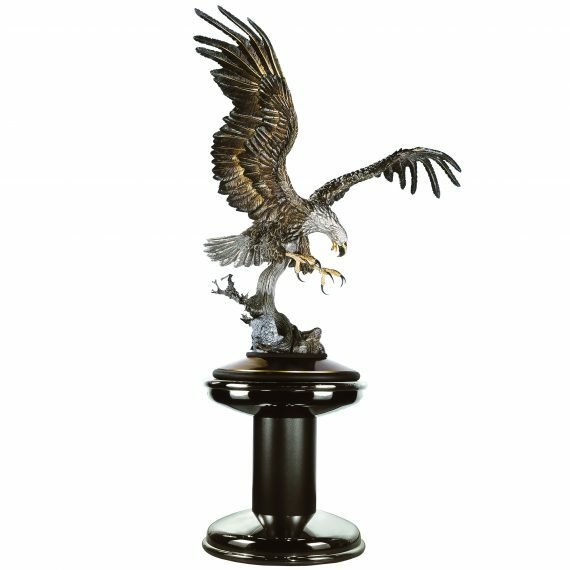 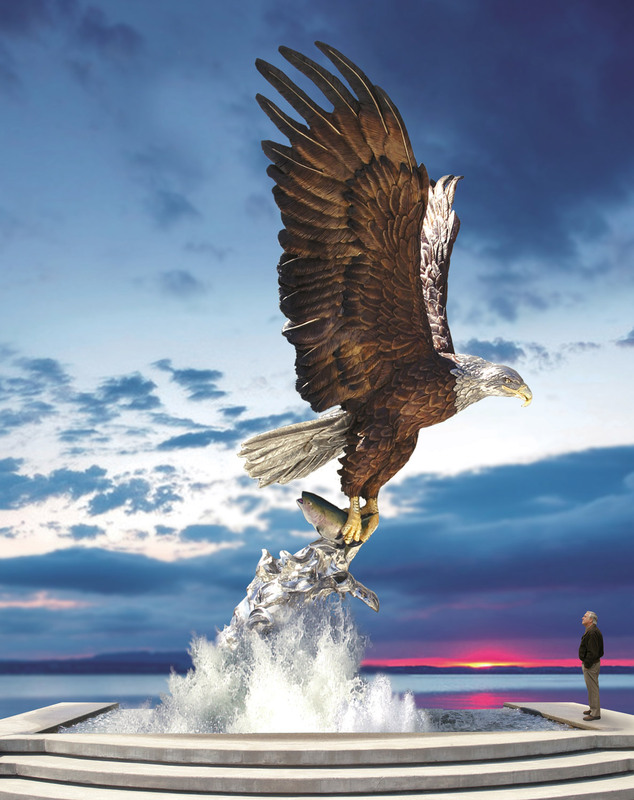 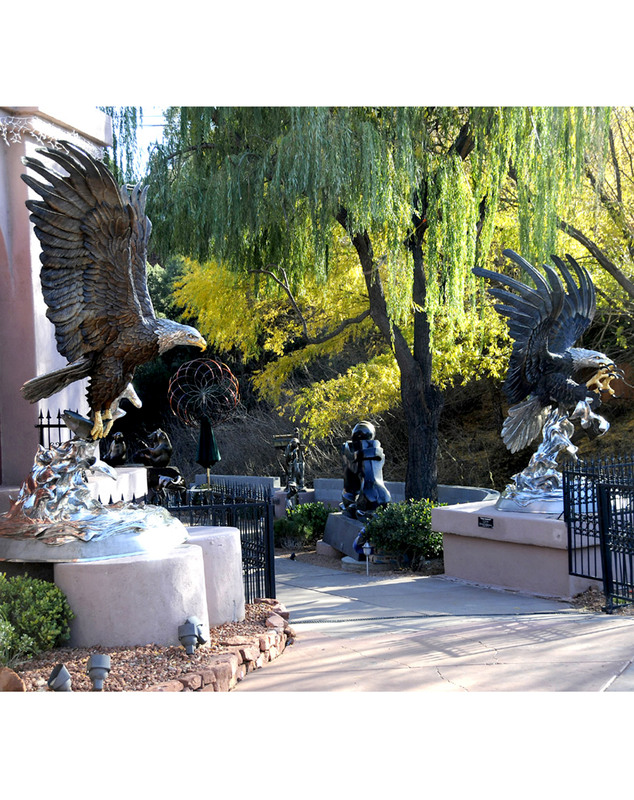 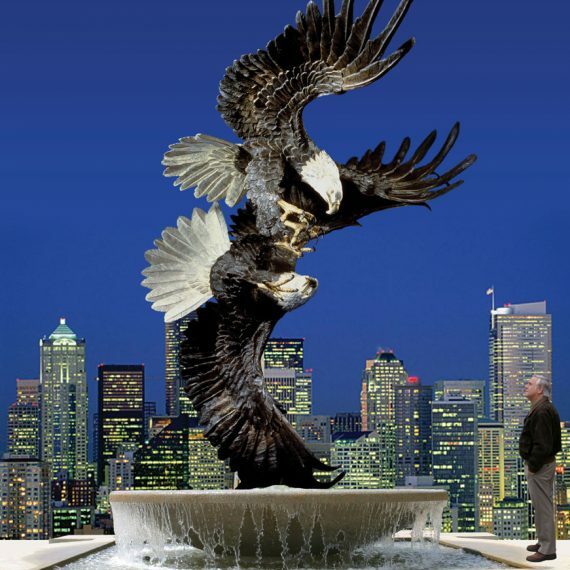 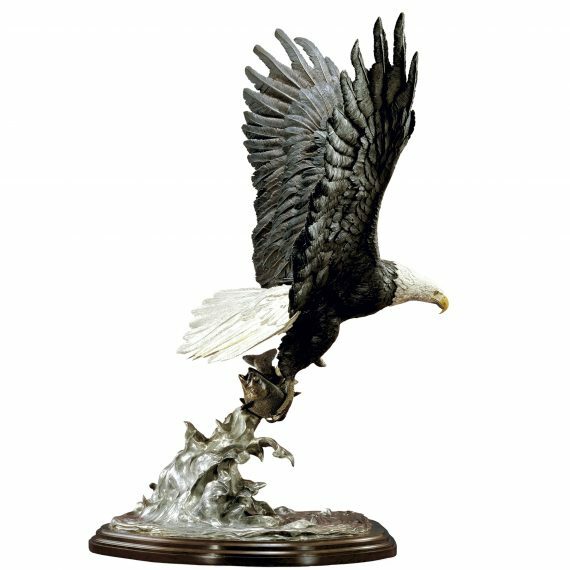 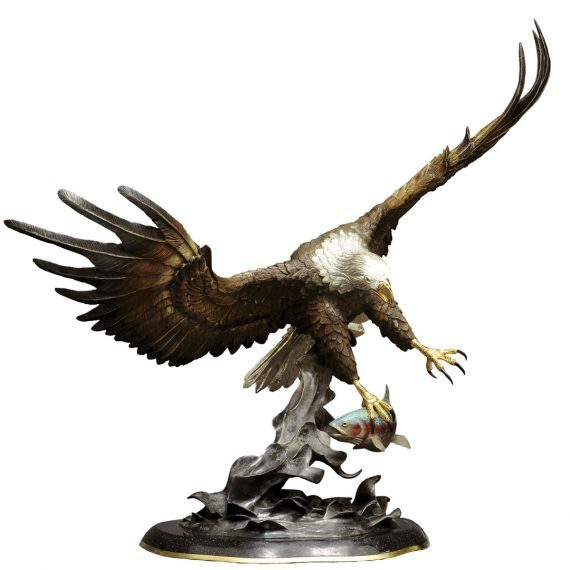 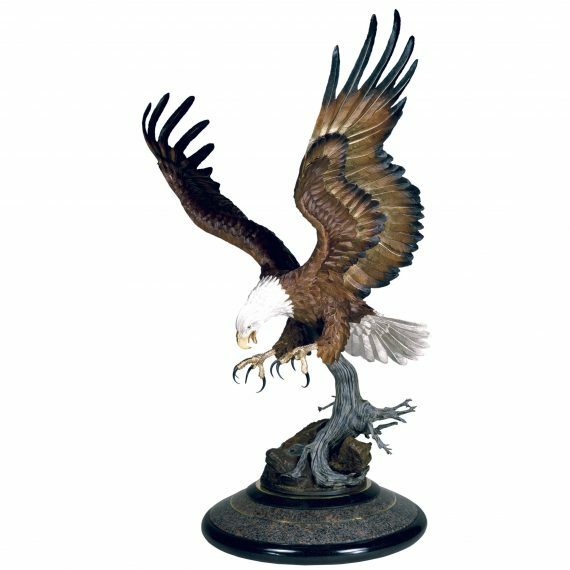 "Splashdown Eagle Monument" - Chester Fields Bronzes Inc. 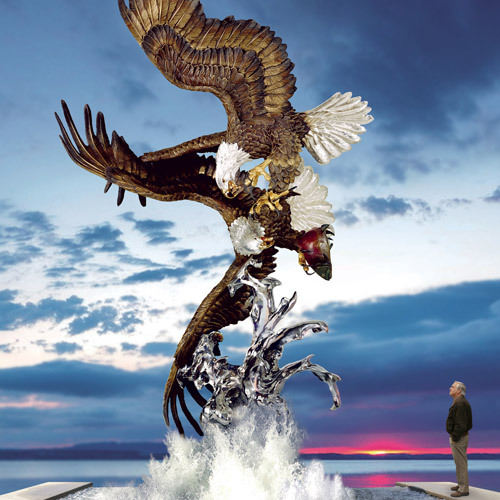 I enjoyed meeting and talking with you yesterday. 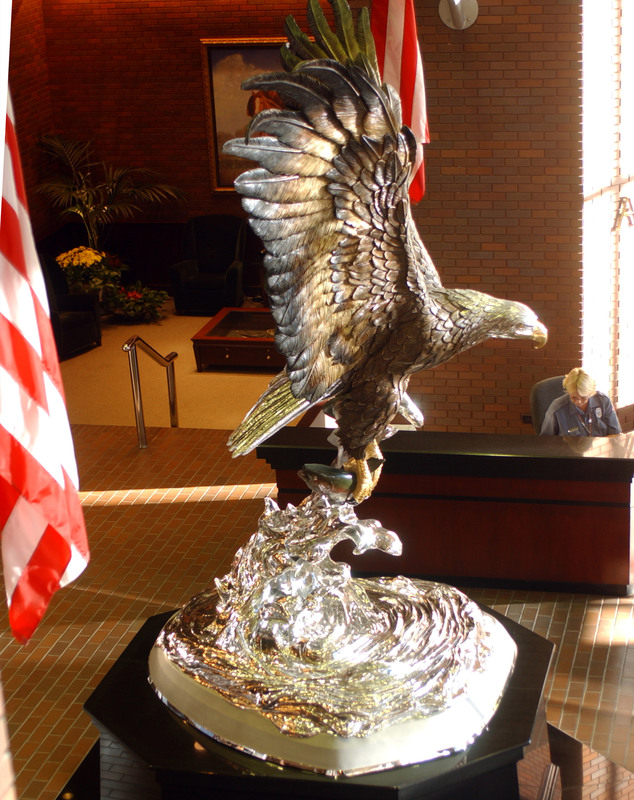 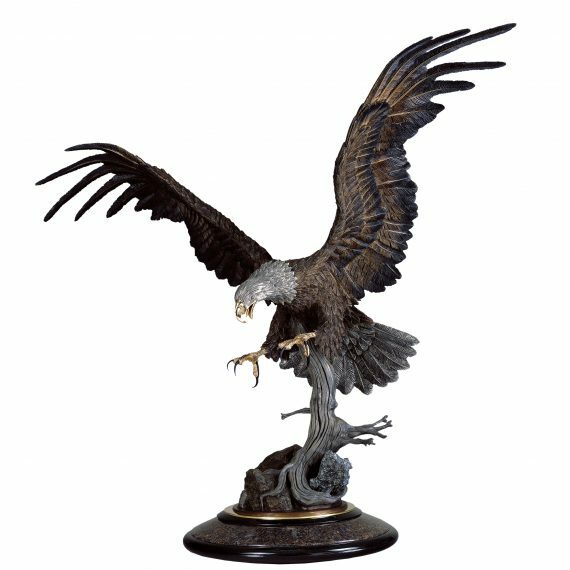 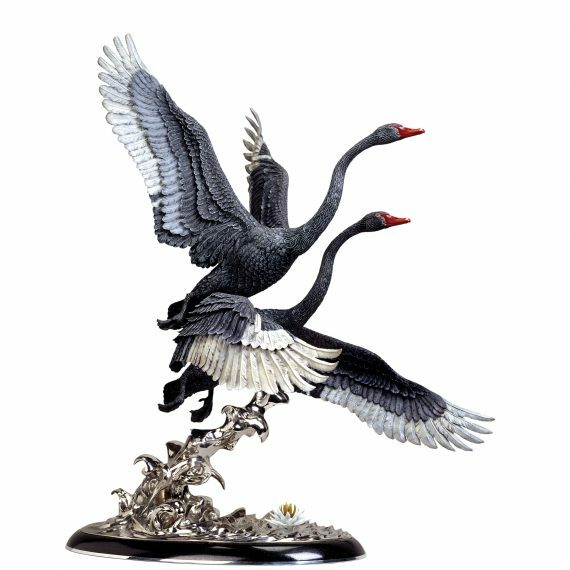 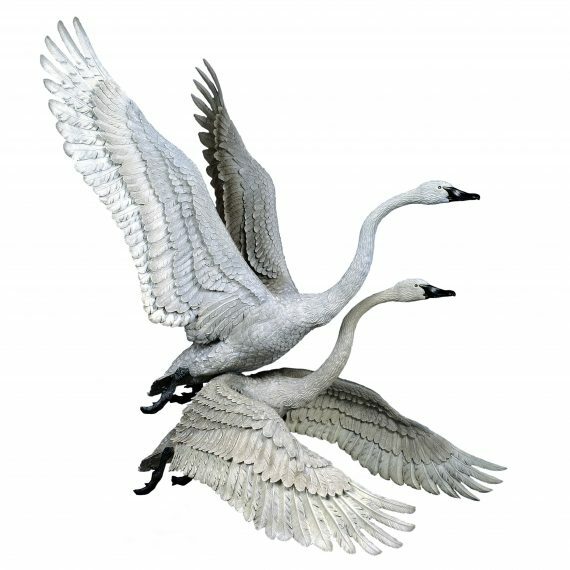 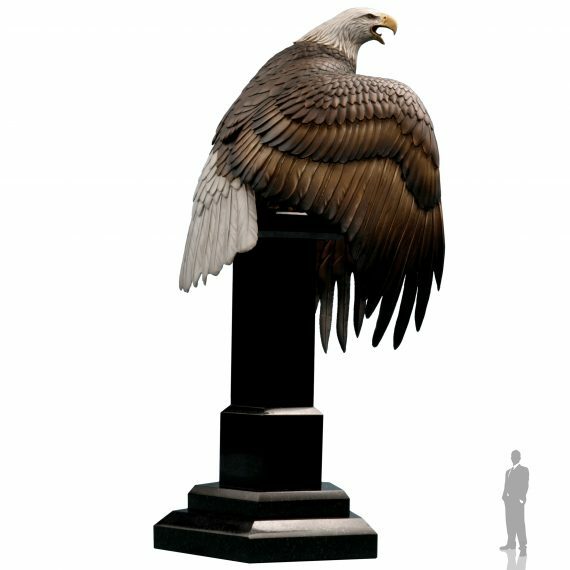 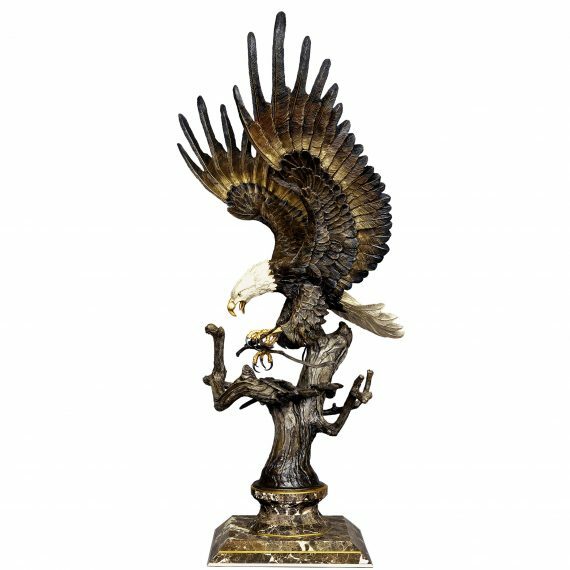 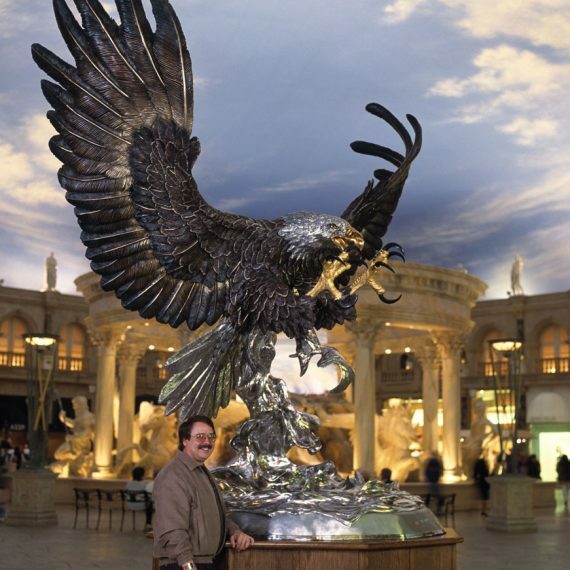 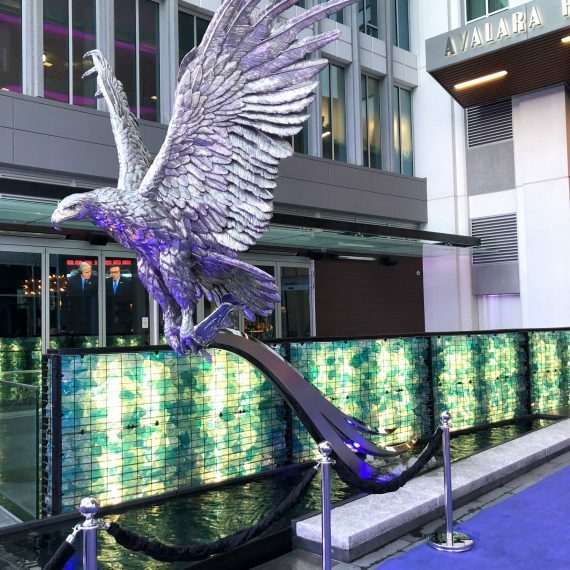 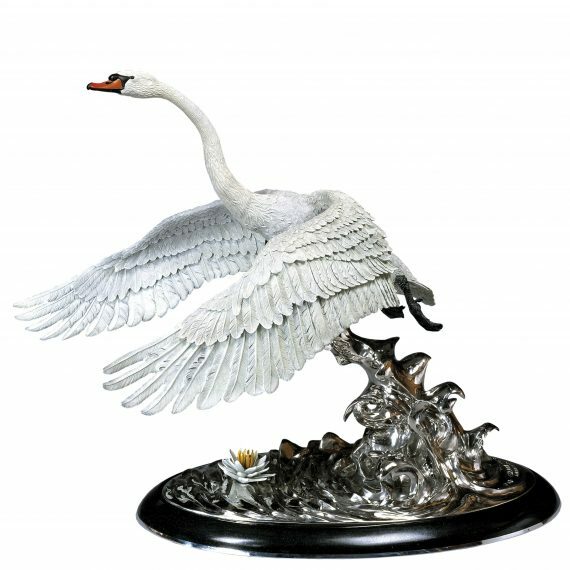 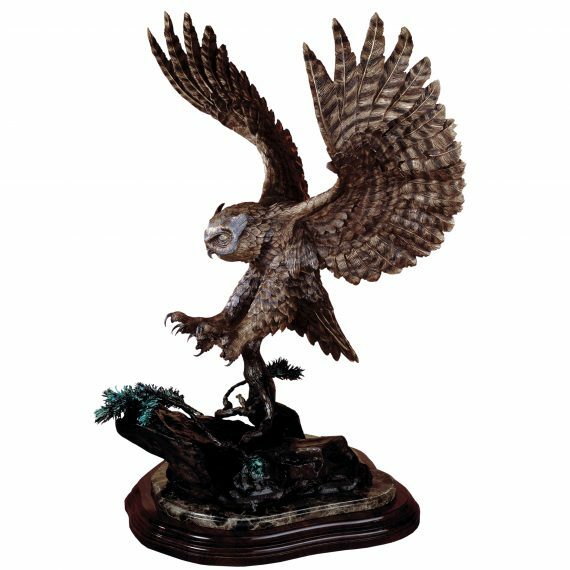 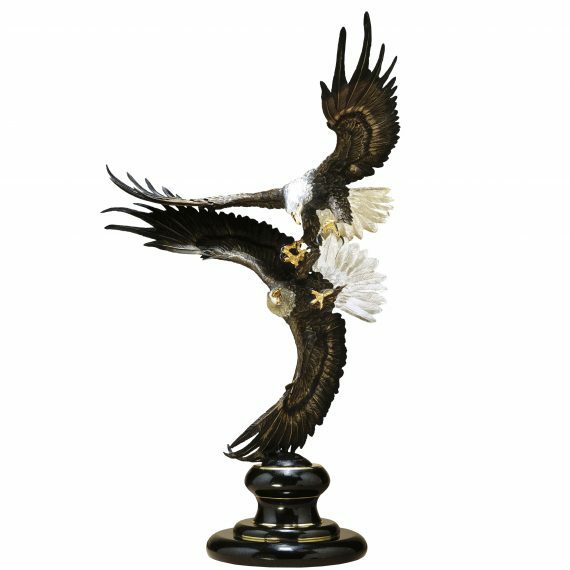 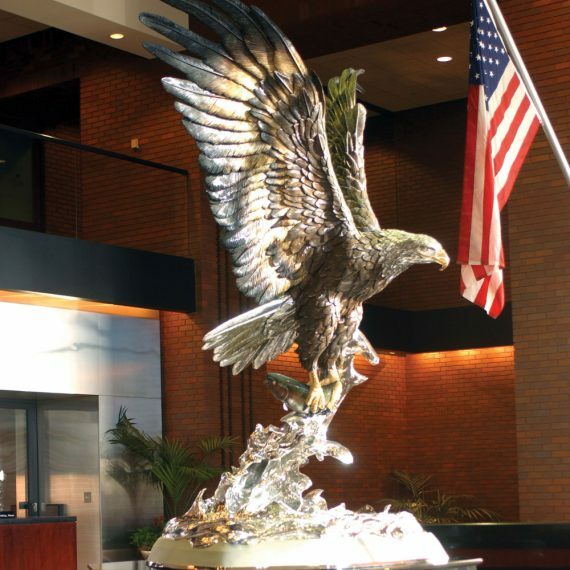 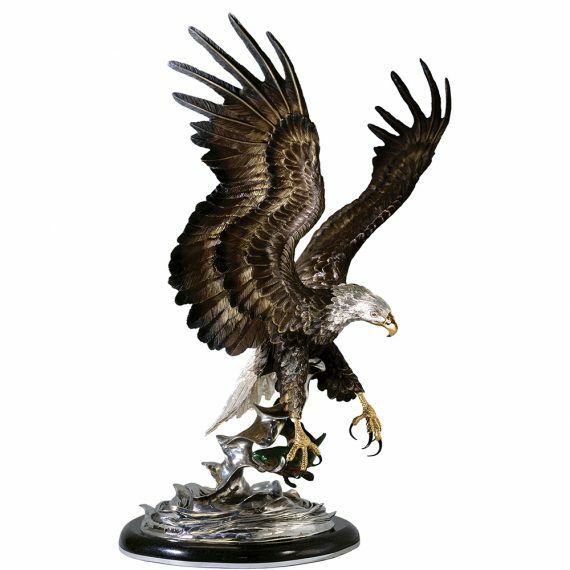 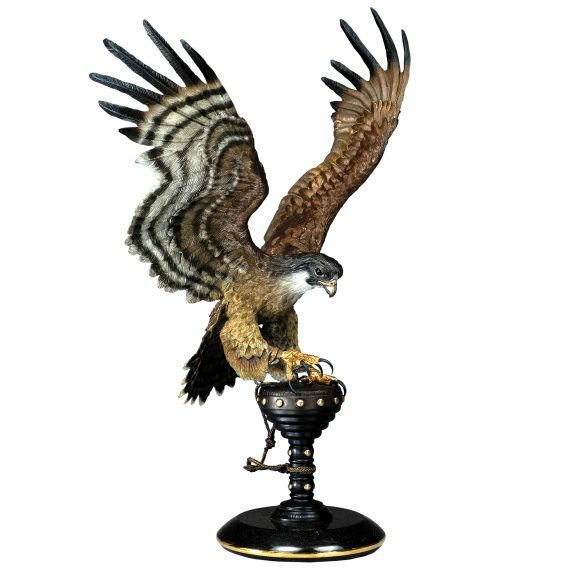 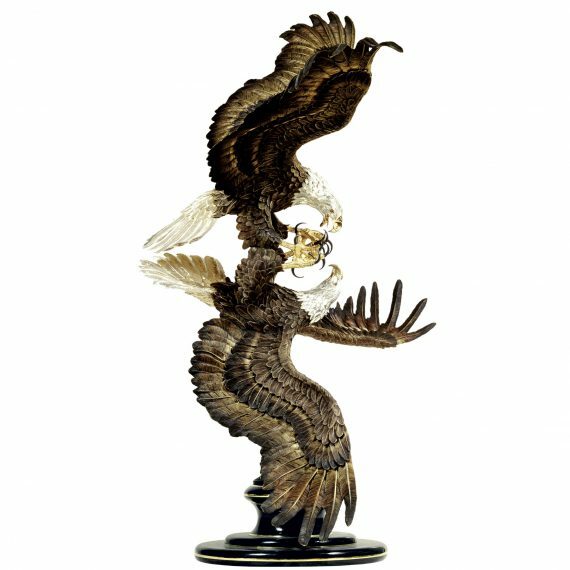 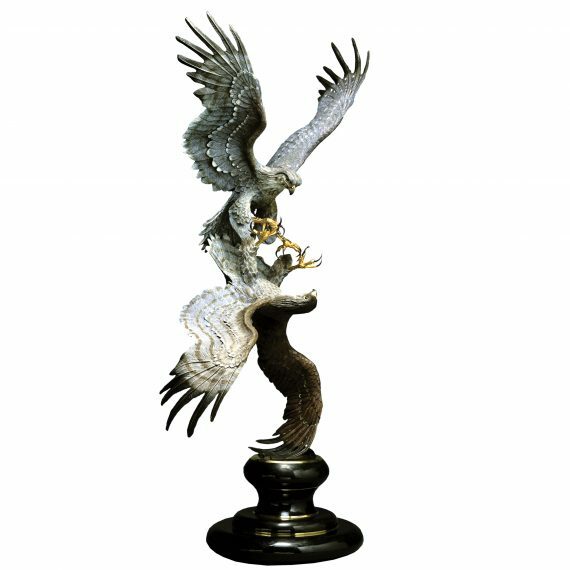 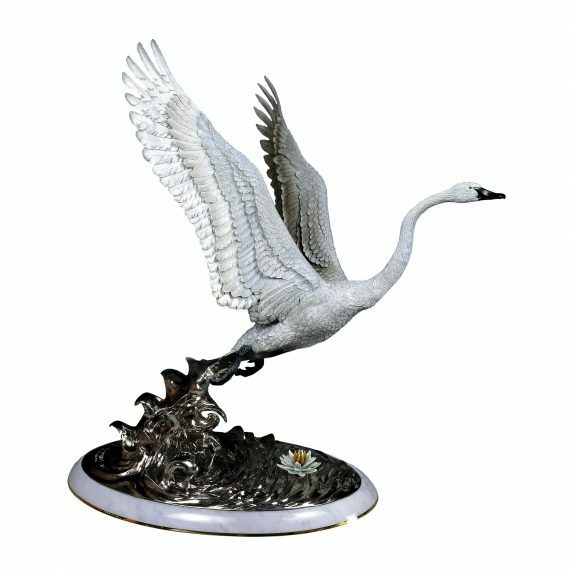 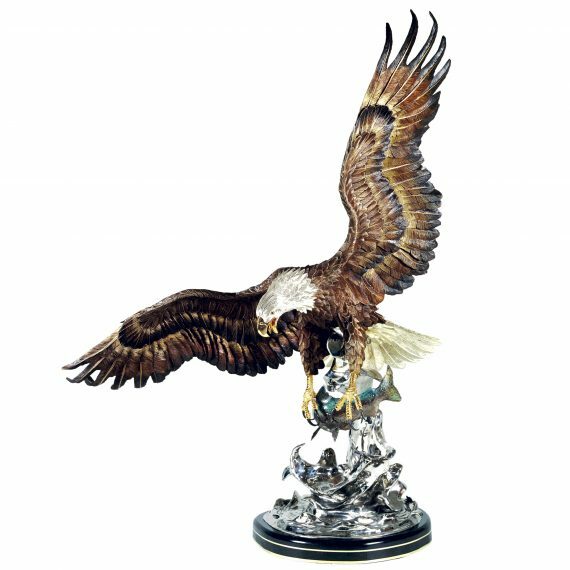 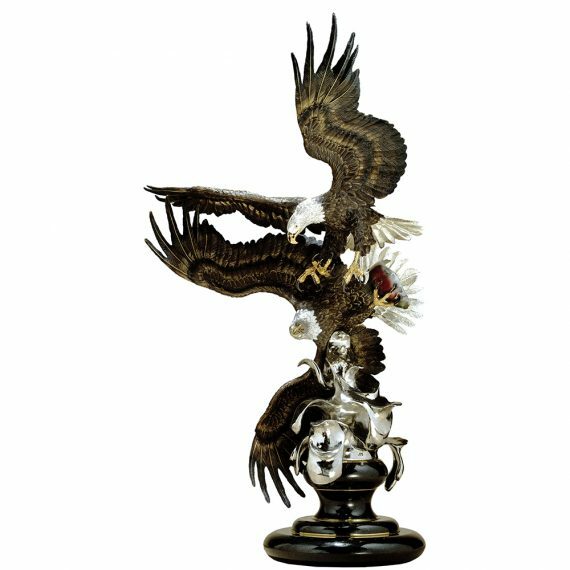 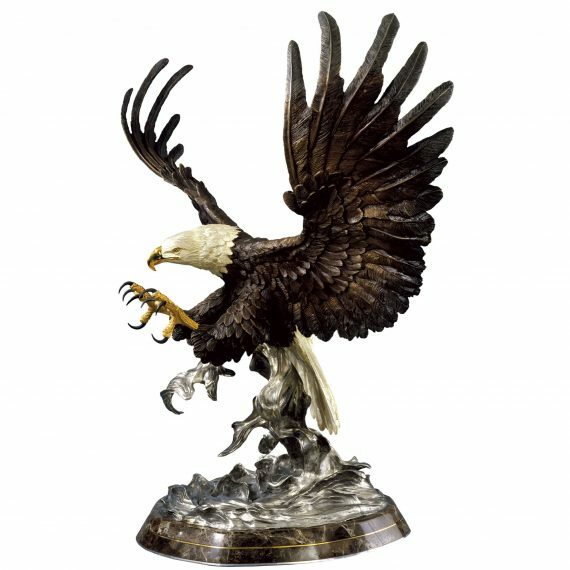 Your beautiful eagle sculpture makes a statement in our lobby that employees can be proud of. 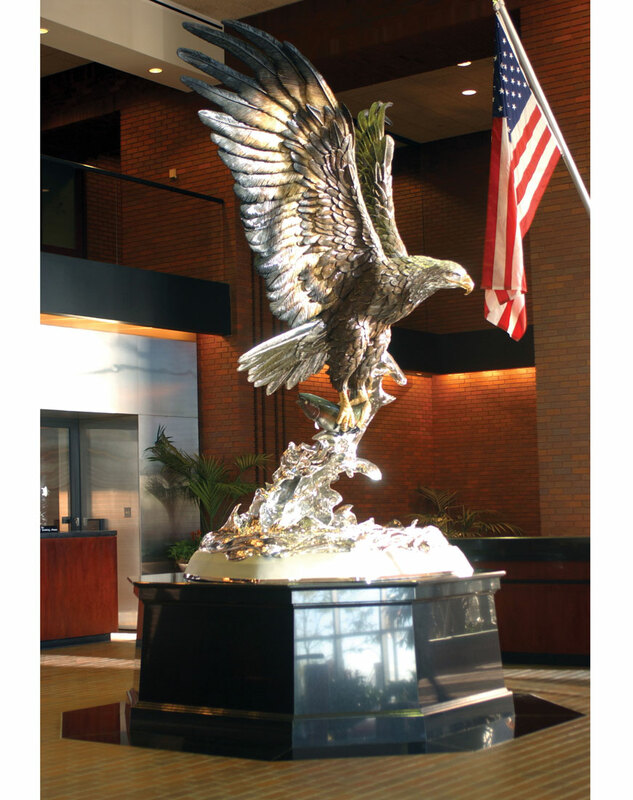 The quality and attention to detail in your workmanship is a perfect fit with the traditions of our company. 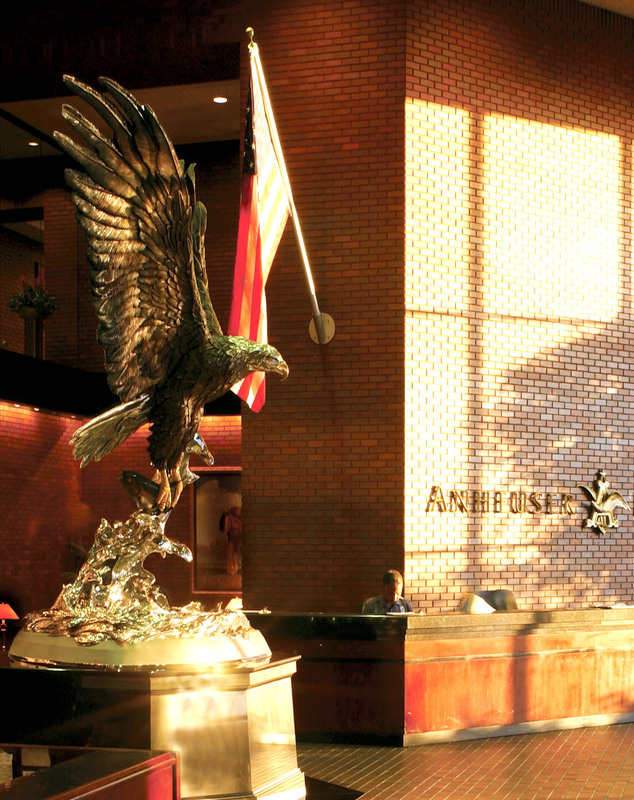 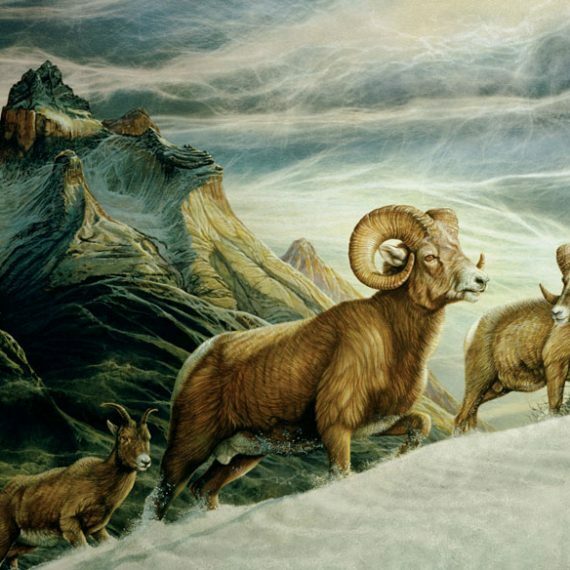 We look forward to enjoying in for many years to come. 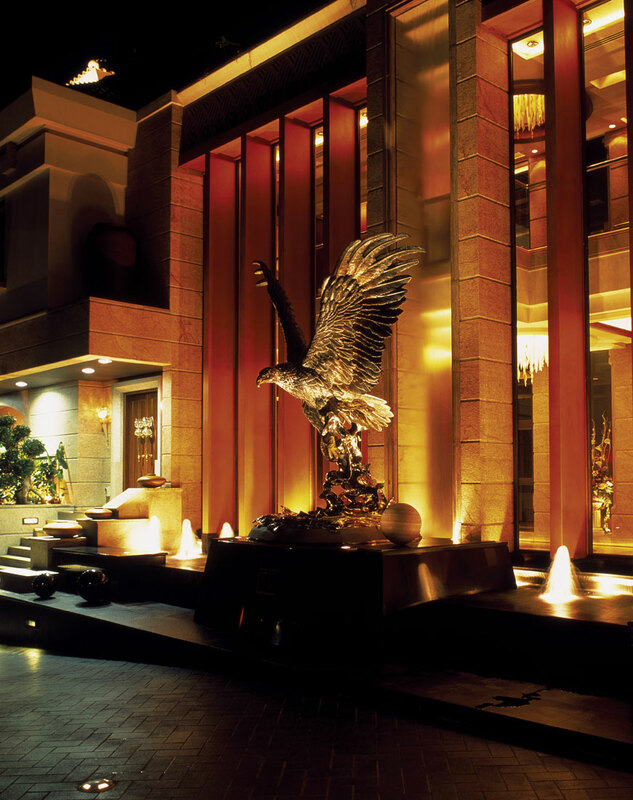 Also pictured at Tommie Goh Private Home in Singapore, a private home in San Anita and at a golf course in Indiana.